The name “Sara Kana” is synonymous with the woman that birthed the leader of a revolutionary. (think Sarah Connor of ‘Terminator” fame) Well, the Sara Kana that I am presenting to you is cut from the same cloth. 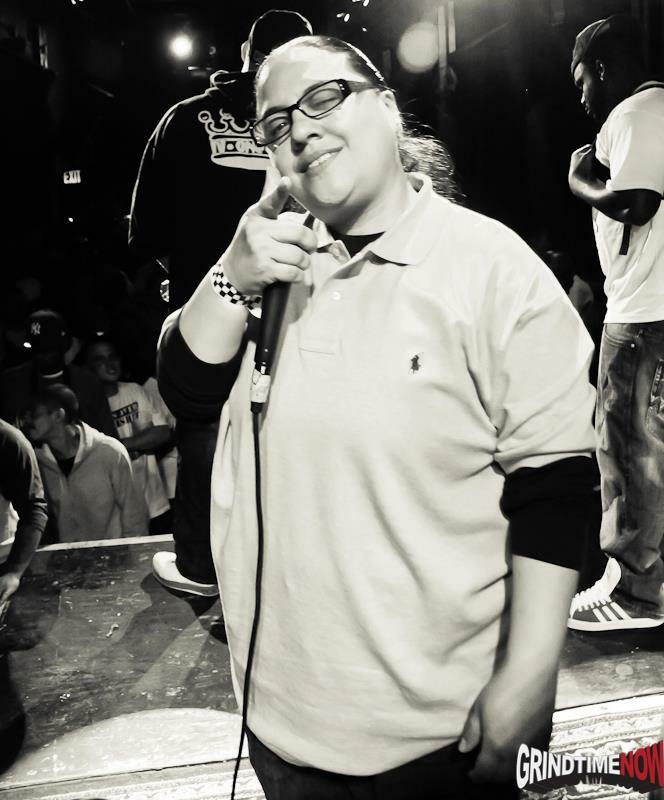 Realizing the underappreciated, unrepresented, and underutilized female battle emcee, she has taken it upon herself to start her own battle rap league, exclusively for female battle rap emcees. Oh, and its also a booking agency…(y’all ain’t ready) Ladies and gentlemen, you are witnessing the “Birth of A Nation” …Viva La Revolution…..
Been in the battle rap game for over 15 yrs. started as a battle rapper, then made the transformation to planning the events with my bro Poison pen and was with Grindtimenow for about 4 yrs. 2. What made you start battle rapping? Drugs. just kidding (lol) .. Jr. high school, all my homie’s would hear me spitting and would automatically put me in a cypher and started testing me as years went on I would just battle whomever .. My very first public battle was with Poison Pen at 88 hip hop years ago lol then my bro Dutch Vega was pushing me to keep at it and i have been doing so ever since. 3. Battle rap has become a viable source of exposure for so many artists, why are female emcees still unheard/unrepresented? Times are changing fast, with Leagues such as my own, as well as QOTR (Queen of The Ring) , the year of the femcee battle rapper will continue to grow ..
4. Why Barz and Brastrapz ? 5. What’s next for Sara Kana and your movement? June 29th @ Rebel Diaz Arts Collective our launch event.. then spreading BnB to as many cities that need female emcees. We are also a booking agency, so we will be booking femcees who don’t battle for shows and such. We already have BnB Mid West, BnB west Coast, and now BnB DmV so so far so good.. but a world wide female representation is the goal and the main focus. 6. Where can old fans/new fans find you?